A double bass made out of scrap metal. Heart-wrenching vocals accompanied by a musical saw. Foot-stomping fiddle mixed with infectious funk-rock rhythms. 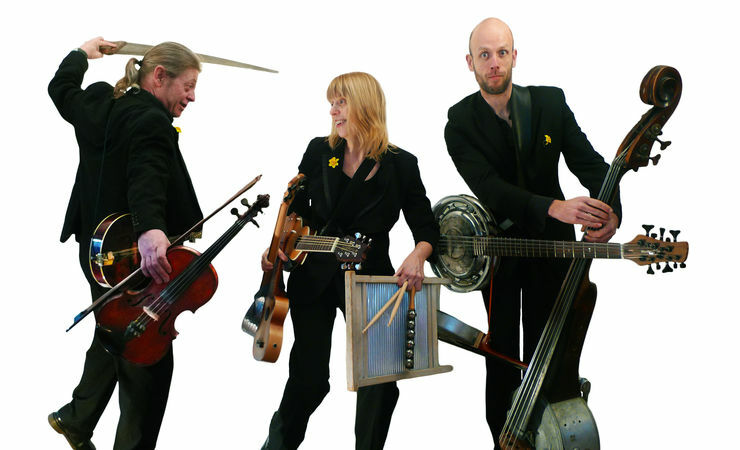 Combining a mouthwatering selection of favourites from their regular repertoire, interlaced with traditional and original festive songs and Christmas carols, The Churchfitters cracker of a show will see Christmas in with a bang and a paper hat-full of surprises, novelties - and terrible jokes as well! "Great band...very cool Celtic rock outfit. Very different."